Stan Simmons, member of the Dallas Makerspace led the tour. 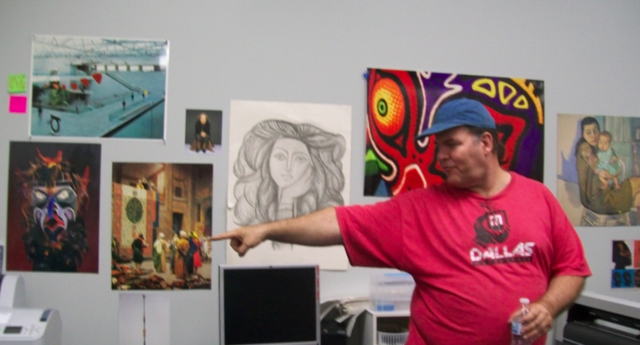 Yes, the T-Shirt Stan is wearing was silk-screened at the Dallas Makerspace. Stan joined Dallas Makerspace three years ago when he needed a space to work on his bike. At that time the Dallas Makerspace (a 501 (c) 3 nonprofit organization) had about 35 members. Today it has 913 members, most of whom pay $50 a month. Additional members in a family each pay $10 a month. Students and seniors pay $35 a month. A Makerspace is many things. Last night I toured the Dallas Makerspace and now I’m more determined than ever that we should have one in Garland. A Makerspace is many things. It is a place where art and creativity meet and blend with science. It is a place where the American local economy is being rebuilt one creative entrepreneur at a time. It is a place for dreamers and builders of all ages. It is a place for families and singles. People interested in Makerspaces (judging from the crowd of about 25 people on the tour I attended) represent a melting pot range of ages, colors and cultures. Makerspaces are filled with tools for making. It is a place where bridges are being constructed from the past to the future. It is an exciting blend of ancient technologies such as blacksmithing, somewhat old radio technologies like Ham radio and the latest modern technologies like 3-D printing. It is a place where those who have certain skills teach them to others. For example, one of the Dallas Makerspace members is a blacksmith. On Sundays, he teaches lessons in blacksmithing. It is a happening, fun and interesting place where bright, hopeful, positive, creative individuals will surround you and support you in achieving your dreams. Makerspaces don't have to be large, but the Dallas Makerspace is huge. You must sign a liability waiver before entering the work area. They must have some lawyers among their members because before you can leave the waiting room and enter the shop area, you have to complete and sign a digital liability waiver. This is not a bad idea and one that I would suggest for any Makerspace. Makerspaces, because of all the equipment and tools, can be a dangerous place. The members make just about everything you can and cannot imagine—from welded sculptures to wooden tables. In addition to making things, the Makerspace is also a place where people can use some of the equipment to conduct experiments. 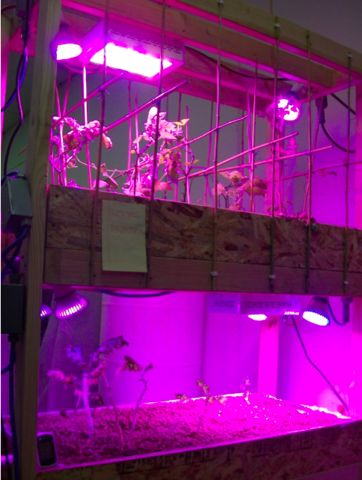 For example, some members there are studying various types of LED lights to be used for growing plants in an indoor aquaponic setting. After all art is nothing if not an experiment in redefining reality. 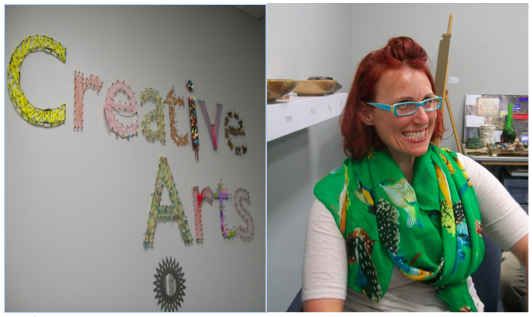 Thus it is entirely appropriate that creative arts should be an important focal point in any Makerspace. I was happy to meet Nicole as I missed an interesting and free workshop she held the night before “Re-Work Workshop for “Trash to Frame” Art show at DMS on August 1. Where is all this activity going? Since I’m not a seer, I can’t tell you, but consider this recent information from the Smithsonian and you might have a better picture of the potential. 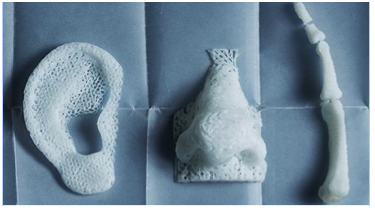 In addition to this, 3-D printers are already being used to create prosthetics that work as good as the real parts. 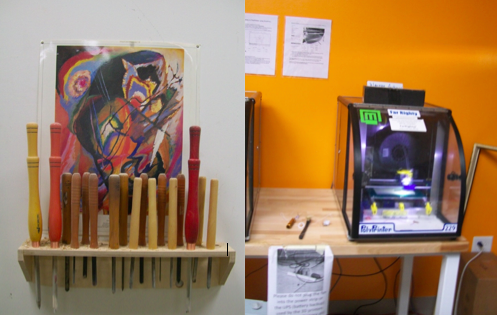 The woodworking shop is one of the most popular areas of the Makerspace. Stan mentioned that it produces lots of sawdust every week. I asked him what they did with the sawdust. He said they take it out to the dumpster. Now that’s a missed opportunity. In fact, I think that just about anything taken to the dumpster represents a missed opportunity that we should rethink. Sawdust can be used for all sorts of things—among them is compost, but it should not be used as a mulch. When sawdust is breaking down, it uses a lot of nitrogen in the process so if you use it as mulch, it will rob your plants of nitrogen. However you can put it in compost piles that you plan to compost for at least 18 months before bringing it into the garden. It would be a great addition for the ingredients of a hugelkultur. 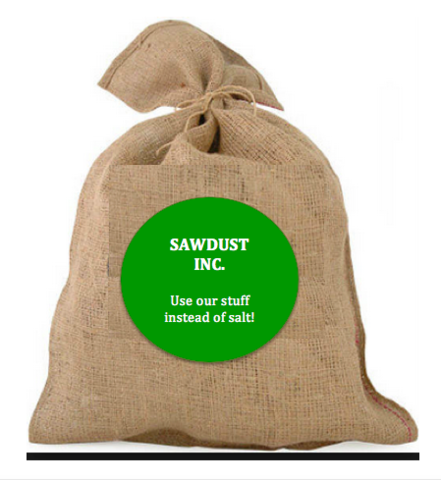 But there are many other creative uses for sawdust. For example, instead of salt, which alters the pH of the soil and groundwater, use sawdust for icy sidewalks and roads. HEY! Perhaps this is a potential Kickstarter project. What do you think? Let’s all start moving toward creating a better world by rethinking what we do with our stuff we call junk and waste. If I were queen, garbage disposals would be against the law. Better yet: take a tour of their space. Thursday July 23 at 7PM.